Rent Inn on Crescent Lake | Corporate Events | Wedding Locations, Event Spaces and Party Venues. The Inn on Crescent Lake, an elegant Kansas City, Missouri area bed and breakfast is located in Excelsior Springs, Mo. The Inn is only 30 minutes from downtown Kansas City and only 15 minutes from William Jewell College and Liberty, Mo. to the Inn on Crescent Lake, an elegant Kansas City, Missouri area bed and breakfast located in Excelsior Springs, Mo. The Inn is only 30 minutes from downtown Kansas City and only 15 minutes from William Jewell College and Liberty, Mo. We are delighted that you have considered the Inn on Crescent Lake for your upcoming getaway. 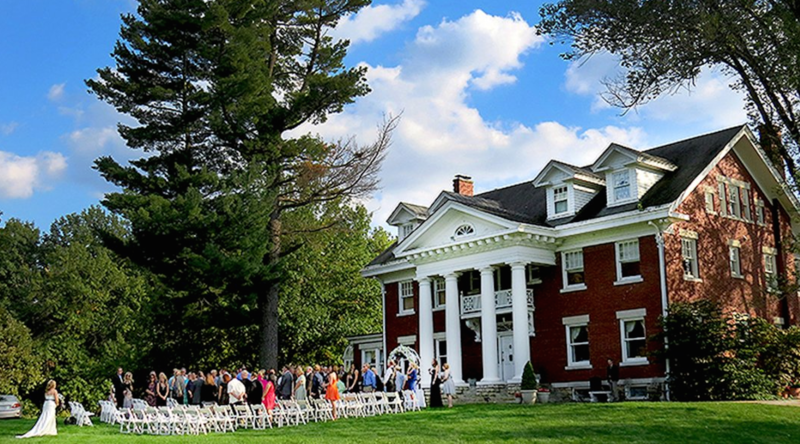 In addition to being one of the most romantic getaway locations in the Kansas City area, the Inn offers the perfect setting for weddings, corporate retreats, family reunions, honeymoons, staycations, and other events. The Inn on Crescent Lake offers many options to each guest, but most important is the chance to rest, relax and rejuvenate.